Tonight at an event in Los Angeles, Infinity Ward and Microsoft announced a brand new limited edition Xbox 360 console. 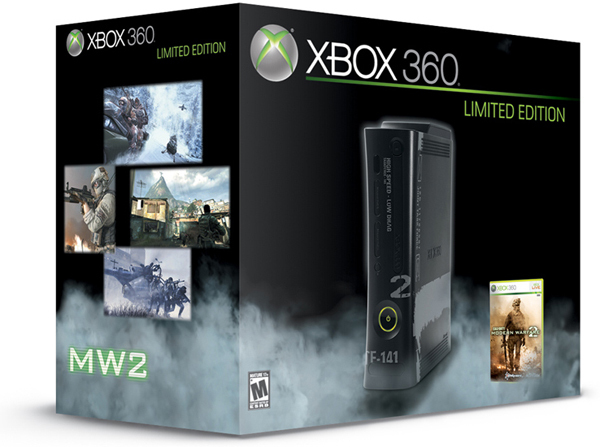 The Modern Warfare 2 branded console is the same as an Xbox 360 Elite, but has a brand new 250GB hard drive. It also comes with a copy of the game and two wireless controllers - perfect for playing co-op! Expect the console to hit around the time the game launches on November 10th for $399. It's already available for Pre-Order on Amazon.com.